This is Gretchen Quarterman. 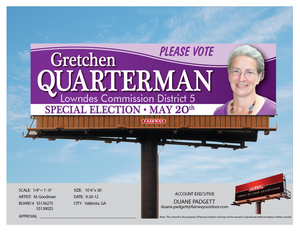 And I’m running for Lowndes County Commission District 5. I’m dedicated to responsible, transparent government, and I will work to be a good steward of our tax dollars. Our county and city governments need to work together to build on our collective strenghts of Moody, VSU, and South Georgia Medical to provide opportunities to our community. I’m open to new ideas and willing to re-evaluate long-standing views when new information exists. And I will value citizen input. Our community is a wonderful place, and together we can make it even better. I ask for your support and your vote on May 20th. To hear Gretchen talk about these issues at greater length, see the videos page. Tuesday May 20th is Election Day for this Special Election. You can find your polling place on My Voter Page by the Georgia Secretary of State. 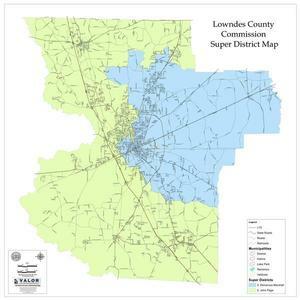 This entry was posted in Opportunity, PR, Stewardship, Transparency and tagged 92.9 FM, C-93, country, Georgia, Gretchen Quarterman, Gretchen Quarterman for Lowndes County Commission, gretchenforlowndes, Lowndes County, opportunity, PR, radio, stewardship, transparency, WAAC on May 18, 2014 by John S. Quarterman.